Not the largest of Belgrade’s theatres but definitely one of the more interesting ones, both visually and in terms of history. 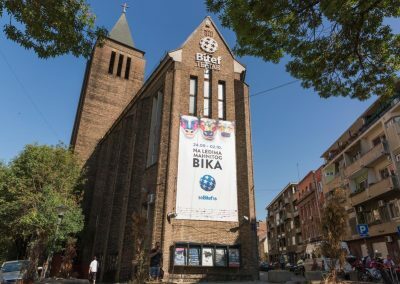 BITEF theatre is housed in a reconstructed Evangelist church in the center of the city, right outside Bajloni green marketplace. Nowadays it is mostly an avant-garde theatre which focuses quite a bit on young, upcoming artists and has its own dance company. The story of the theatre’s building is also quite an interesting one and it is as much history as it is anecdote. Very little documentation has been preserved from the days of its construction and most of its story that we know today comes from the stories of a man who worked as a water-carrier in the days when it was built. The construction was initiated and sponsored by the Germans, with the intention of creating an Evangelist Christian church which includes a boarding house as well. However the beginning of WWII interrupted the construction and the church itself was never completed or consecrated. After the war the ownership of the building was widely disputed and eventually given to the city of Belgrade. The acting workshop Bosko Buha which had taken office in one of the building’s rooms eventually grew into an all-out theatre which adapted the building to its own needs. 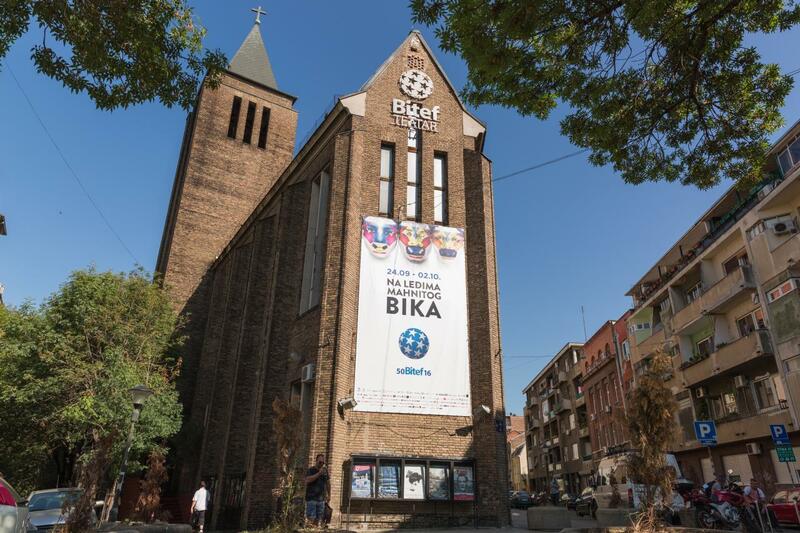 BITEF today stands both for the theatre and as the name of the one of the largest theatre festivals that takes place here – the BITEF.